Dejan Lovren celebrates after Liverpool advances over Roma to the Champions League final on May 2, 2018, in Rome. (CNN) - It's been 20 years since Croatia not only burst onto the World Cup scene, but also since they advanced beyond the group stages. And as anticipation has grown each year as to whether Croatia's squad will finally meet the expectations set in France two decades ago, they finally proved themselves -- after a historic win against England during the semifinal on Wednesday. It's the smallest country to reach the World Cup final since Uruguay in 1950, and now, Croatia faces its biggest challenge -- will the team finally be able to win the final against France and lift the World Cup trophy for the first time ever? Croatia's participation in Sunday's final will mark a remarkable staging post in the journey of one of its key players Dejan Lovren, who experienced life as a child refugee in the 1990s after fleeing war-torn Bosnia. Even before the World Cup kicked off, the Liverpool defender seemed to think if any Croatian squad can, it's this one. "We are a small country, only four million people and we have big talent in our squad," he told CNN Sport in an exclusive interview before the World Cup. "You look at which payers (are) playing and (from what) teams, it's quite amazing." Dominik Livakovic (Dinamo) and Filip Bradaric (Rijeka) are the only two members of Croatia's 23-man squad that play for Croatian clubs, with the other 21 stars having moved abroad to play for an assortment of leading European clubs. Key to Croatia reaching the final has been the inspirational performances of Real Madrid's 32-year-old midfielder Luka Modric, who has not only lifted the Champions League trophy four times but is the heartbeat of this Croatian team. It was Manduki who was the hero of Wednesday's dramatic extra-time win -- with his vital winning goal in the 109th minute breaking hearts around England and causing pandemonium on the streets of Zagreb. "To be part of the World Cup is already an achievement," Lovren had said, "but we believe in our quality and we know that we if can get through the group stages we can go far." That they did -- and now, thanks to Manduki who ensured Croatia's fate -- they will face France in Moscow on Sunday. "I just remember when the sirens went on," said Lovren. "I was so scared because I was thinking 'bombs' or that something will happen now. "I remember my mum took me and we went to the basement, I don't know how long we'd been sitting there, I think it was until the sirens went off. Afterward, I remember mum, my uncle, my uncle's wife, we took the car and then we were driving to Germany." Lovren's participation in Sunday's showpiece also completes a remarkable turnaround for the Croatian defender after he endured an uncertain start to the 2017/2018 season with Liverpool. In an English Premier League game against Tottenham in October, he was substituted after 31 minutes with Liverpool losing 2-0 -- his side went on to lose 4-1 in a woeful performance at Wembley. After the Spurs game, Lovren said he's received a "disgusting" death threat against his family on social media. In an Instagram story, Lovren posted the private message which read: "I'm gonna murder ur family u Croatian p****." The defender then wrote: "I don't mind when people talk s*** about me, it says more about them! "But I cannot ignore when my family is threatened. I just can't and won't accept that." In the early part of the 2017/2018 season, the 29-year-old Croat also admitted to taking painkillers to get through some games. 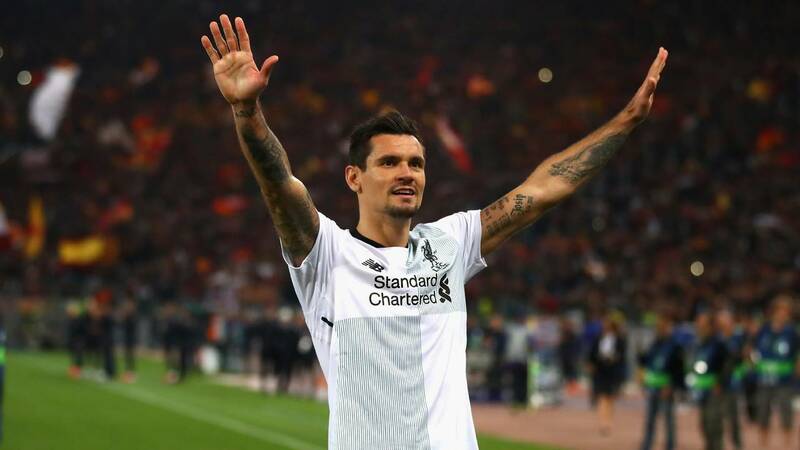 "I have problems with my whole body for the last two weeks, my back and now I have hurt my Achilles tendon," Lovren told the Croatian paper Sportske Novosti. "I am taking pills so I can play -- five before every game. I play but I cannot train at all. That's why I skipped matches against Manchester City and Burnley." "I took Liverpool to the final of the Champions League," added Lovren, referring to Liverpool's feats in reaching European football's showpiece final, before defeat to Real Madrid. "Now with my national team we are in the final. "I think people should recognize that I am also one of the best defenders in the world and not just talk nonsense." Lovren joined Liverpool in July 2014 in a $26.5 million transfer from Southampton.